Argan also known as Argon Oil 100% Pure Moroccan. Argan oil - Argon oil has been found to soften our hair, also making it shinier and silkier. Argan oil - Argon oil is also easy to use. Argan oil is also known as Argon oil. Argan Oil is rich in Vitamin E & essential fatty acids. The antioxidants in cold pressed argan oil gives your skin a nice, healthy glow. Cold pressed argan oil is also great in hair as well! Apply a generous amount and allow the oil mixture to sit before rinsing your hair as normal. Known as Argania Spinosa or Marrakesh Oil, Cocojojo Argan Nut Oil is from the highest quality Argan Nut from Morocco and manufactured through the highest industry standards – Argon Nut Oil is Grade A, Premium product. Henry Cavendish Beard Oil. 1oz - Organic Jojo, Sunflower, Shea and Argon Oils. Each tube is 1.5 fl.oz. Features: All Natural IngredientsGender: UnisexSize: Less than 3.5 oz. Argan Nut Oil. Its is well known that Argan Oil is loved and used by many people around the world. Pure Deodorized Moroccan Argan Oil 100% All Natural, Cold Pressed, Unrefined. 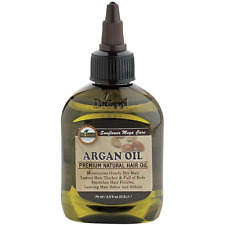 16oz ARGAN OIL 100% PURE COLD PRES UNREFINED EXT VIRGIN MOROCCAN GRADE A.
Trending at $15.15eBay determines this price through a machine learned model of the product's sale prices within the last 90 days. 16 oz 100% PURE NATURAL MOROCCAN ARGAN OIL ARGON DEODORIZED COLD PRESSED FOR SKIN HAIR NAILS. Unrefined and Deodorized. Cocojojo deodorized argan nut oil is 100% pure. For hundreds of years, the Moroccans have been using argan oil for skin and hair. Cocojojo Deodorized Argan Oil is 100% pure, unrefined argan oil from Moroccan argon nuts. Argan nut oil is cold-pressed and left unrefined for the purest form of oil possible. Cold-pressing uses a minimal amount of heat to extract the oil from the kernels of the argan tree. Henry Cavendish Beard Oil. 2oz - Organic Jojo, Sunflower, Shea and Argon Oils. 10fl oz Jar. Not tested on animals. Pure Deodorized Moroccan Argan Oil 100% All Natural, Cold Pressed, Unrefined. 16oz ARGAN OIL 100% PURE COLD PRES UNREFINED EXT VIRGIN MOROCCAN GRADE A. 1 LB 16 OZ 100% PURE BLACK CUMIN SEED OIL UNREFINED COLD PRESSED INDIAN. Pure Deodorized Moroccan Argan Oil 100% All Natural, Cold Pressed, Unrefined. 16oz ARGAN OIL 100% PURE COLD PRES UNREFINED EXT VIRGIN MOROCCAN GRADE A. Pure Ostrich Oil. 100% PURE GRAPESEED OIL UNREFINED, COLD PRESSED & UNSCENTED FOR HAIR - SKIN. ADVANCE TECHNIQUES ~ MOROCCAN ARGON OIL (LOT OF 2). may occur. FOR ALL TYPES OF HAIR. QUICK SERVICE.